I chose to become a pediatric Occupational Therapist because I’ve always loved kids but also, I can’t sit still. I think best when I’m moving and doodling. I think doodling is a word? 🙂 Like kids, I struggle to sit still for long, let alone sit still and learn. I love when research shows that children who get more physical activity actually do better in schools. It certainly takes creativity and flexibility on a teachers part to cater to each students sensory preferences and what helps them learn. Some kids need to move, others need to fidget or doodle, and some may need to chew. This improves the child’s processing, attention, memory and overall ability to learn. -Run /jog on spot, march, spin, do jumping jacks. Fidgets are also helpful for processing and learning. Teachers can provide students with rules to safely use fidgets. Items used could be: ponytail bands, paper clips, Velcro under the table, key chain on trouser loops, stretchy bracelets, pencil toppers, koosh balls, balloons filled with flour or rice, or simply an eraser. Consider the child’s sensory preferences when choosing a fidget and change it for variety. Some children need feet fidgets. My friend Ida Zelaya from Sensory Street, Inc. suggested rolling cut-up pool noodles with the feet. Perhaps even having a beanbag to use with the feet. Proprioceptive input, heavy work, can be calming and organizing. The easiest way is by running an errand or doing chores involving heavy lifting, pushing or pulling. A popular strategy is to tie theraband to the chair legs to stretch with legs or squeezing a stress ball. 10 tips to help maintain your students attention at school. Sensory Tips for Homework Success ( home and school use). 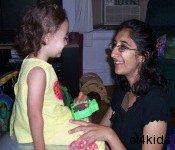 This entry was posted in Uncategorized on October 4, 2012 by munira.